While I was in Hawaii, we had the opportunity to try a charcoal latte. When I returned home I was obsessed with them. Unfortunately, there are no coffee shops in Vancouver that have them. The version I learned how to make does not have espresso in it, but it is still a good afternoon pick me up. I find it tastes very similar to a marshmallow. 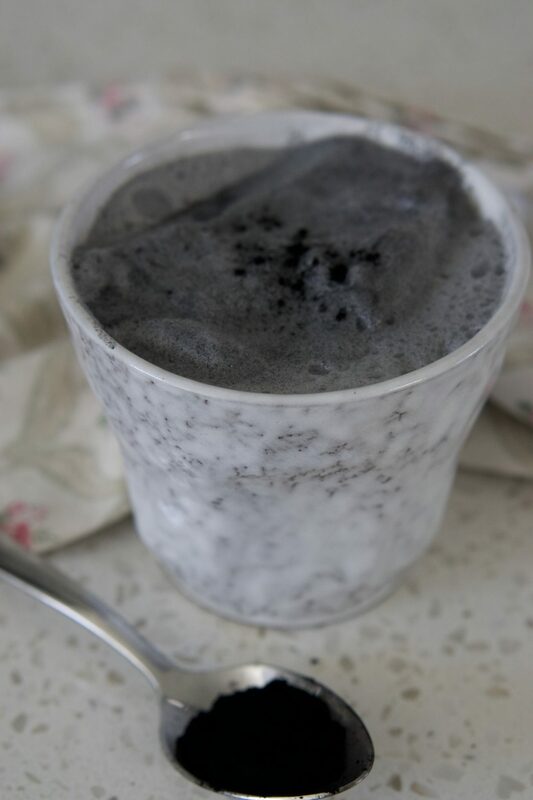 Active charcoal is also known to help remove toxins from your body, so it can also be a good drink to have after a night of drinking. 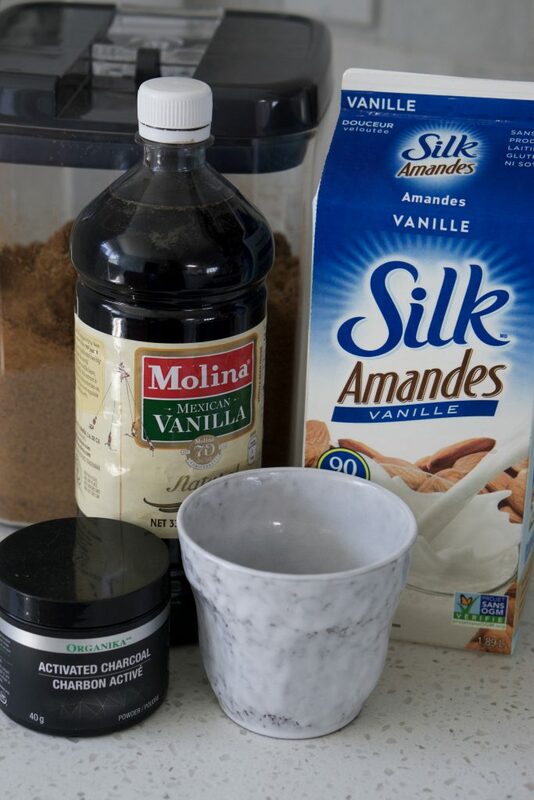 You can use any milk to make the latte, I prefer coconut milk or almond milk. Almond milk tends to froth better. The sediment tends to settle to the bottom of the saucepan so make sure to froth for a few minutes, or you will end up with a gritty finish to your drink. 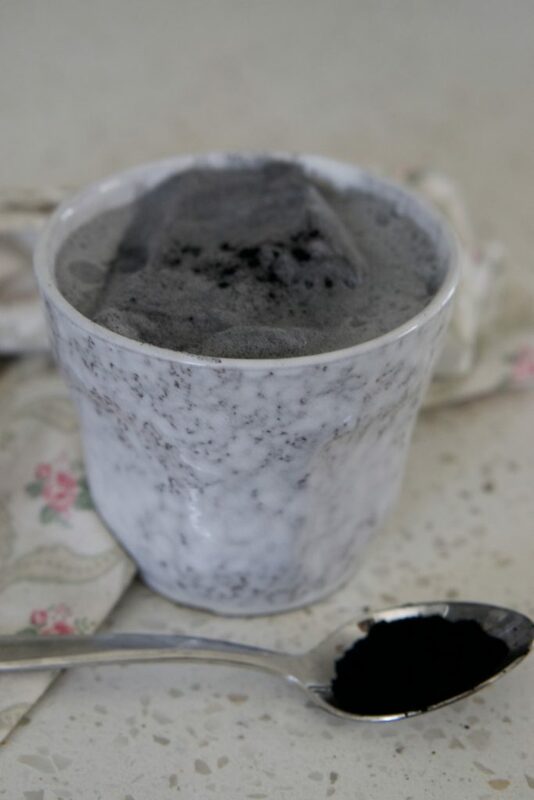 You may need to consult a doctor if you are taking medication before you ingest charcoal. Active charcoal can hinder the effectiveness of medications. 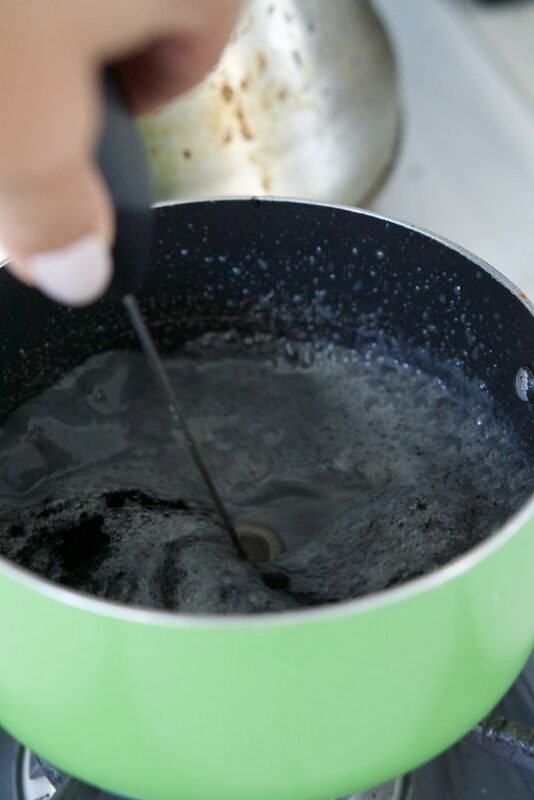 Place a small saucepan on the burner and use a milk frother to blend the ingredients together.